Getting married on a budget is no small feat. With the average wedding costing around $32K, breaking the budget is almost inevitable with all those little details that just simply add up. Which is why our events are designed to include many of those budget busters already built into your experience. 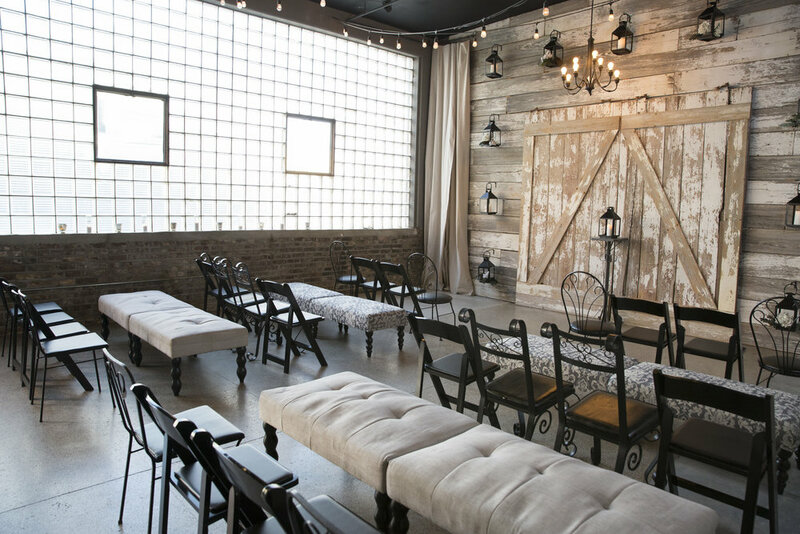 At The Vow Exchange, you will never need to purchase a single candle, or rent a single chair. There are no set up or clean up fees, nor any need to purchase or create one-time-use decor. With so many of those small details already taken care of, it is easy to stay on budget with your wedding at The Vow Exchange. Check out our list below on the top 8 items that become budget-friendly with a wedding at The Vow Exchange! So many couples today spend dozens of hours on pinterest struggling to DIY an entire wedding venue's worth of pricey decorations that will end up either in the trash or in their basement collecting dust for years. At The Vow Exchange, we not only found the coolest and coziest spaces to house our little chapels, we also invest in hand crafted decor and antique finds to create spaces that feel just as special and unique as you are. 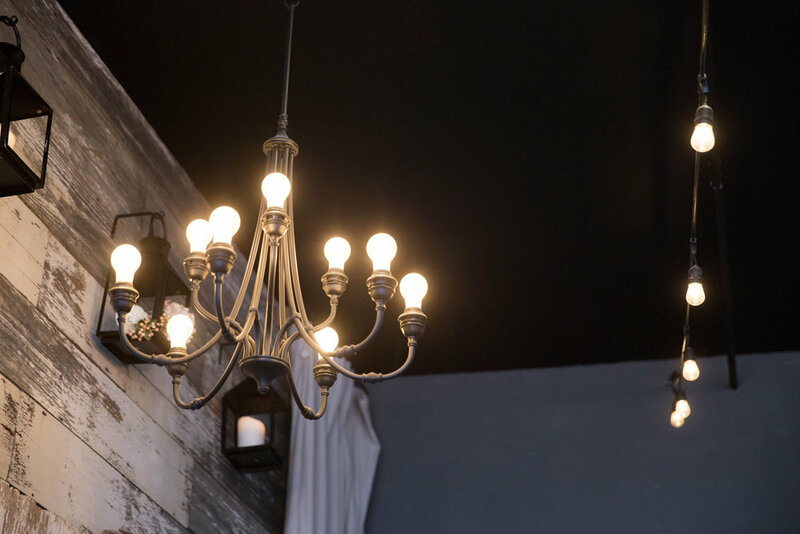 The Vow Exchange Chapel, located in the heart of the crossroads art district, has ample candlelight, floral decor, and a 100+ year old barn wood backdrop providing a warm yet modern setting for the Midwest couple. The Chapel at Heritage Hall, located on the downtown square in Liberty, is adorned with floor to ceiling sheer drapery, vintage chandelier & skyscraper fixtures, copper accents, swags of eucalyptus & candle decor throughout. The average couple spends $950 - $2,500 on a wedding planner alone. At the Vow Exchange, all of our packages (except the Chapel Rental only) are built to include both a pre-event coordinator and at least one day-of coordinator. Our SUPER SIMPLE event planning process is designed for today’s busy brides and grooms making the wedding planning process ridiculously easy. On your wedding day, the day-of coordinator will coordinate the entire event and will be there for your every need so you can sit back and enjoy your day with your closest loved ones! We have a dream team of the finest officiants KC has to offer! According to Wedding Wire, officiating fees can range drastically, from below $100 all the way to $650+. 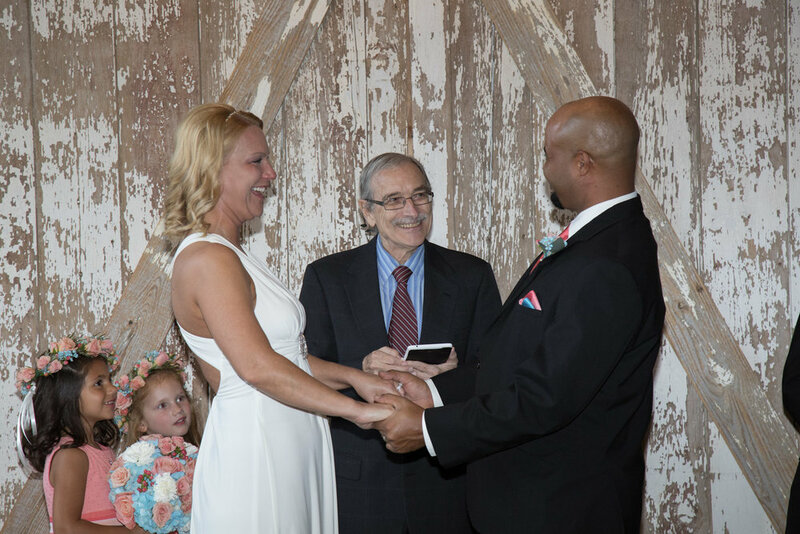 At The Vow Exchange, you can skip that awkward negotiating as our officiant fees are already included in the package price! 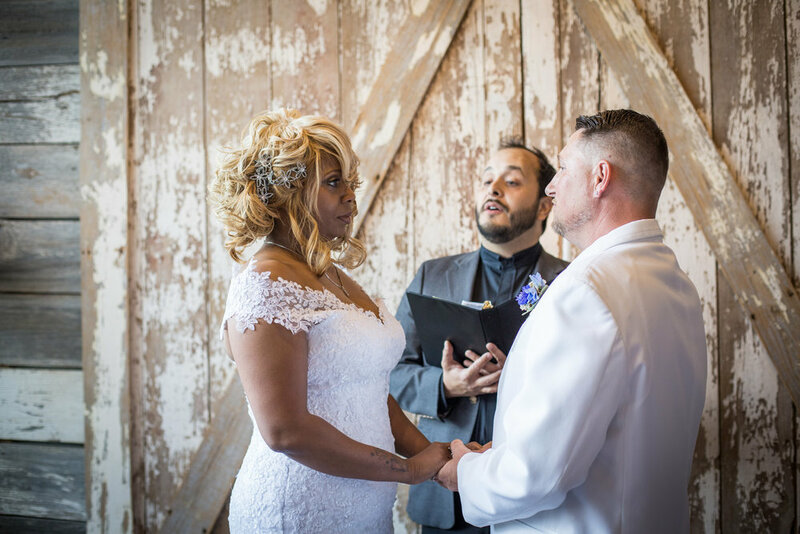 All ceremony customization is coordinated with your pre-event coordinator so there is no need to take time out of your busy schedule to meet with your Vow Exchange officiant prior to wedding day! The nickels & dimes add up fast when it comes to the little things. So we created the perfect "bang for your buck" wedding keepsakes for all of our packages (except the Chapel Rental only). Instead of a book where guests simply write their names, we encourage everyone to leave a little note for the happy couple. Whether it be a piece of advice or a few words of love, we know these are the things you'll want to read over and over again in the years to come. Additionally, your guests deserve a little souvenir to remember the special day too! That is why each of your guests gets a "Woo Hoo!" or "Yay!" flag to wave during the "I do's" and to keep as a memento. Most couples spend a minimum of $700 on wedding flowers which can take up a good chunk of your wedding budget. But that doesn't mean you have to skimp and miss out on luscious, fresh flowers! 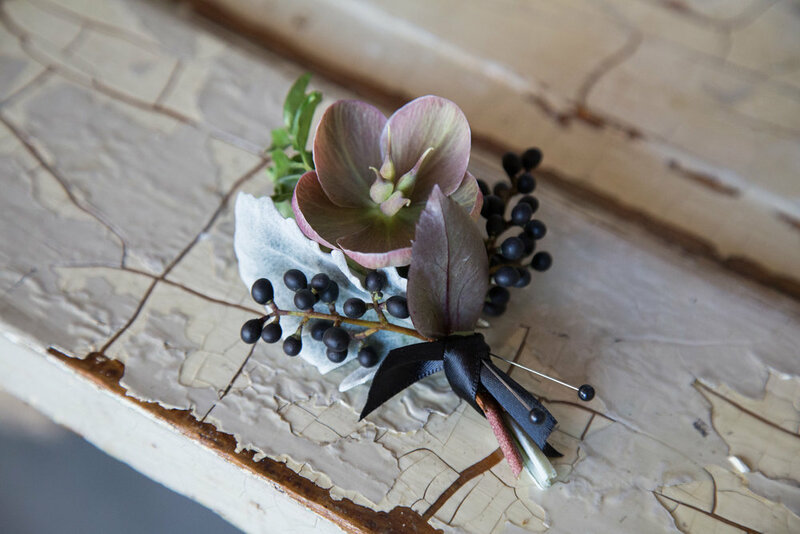 At The Vow Exchange, we work with two expert florists who design and create all of our bouquets and boutonnieres. Which means we can offer you unique, hand tied, fresh flower bouquets at the best price possible. Best of all, we have perfected the customization process so making your dream bouquet is easy, affordable, and fun! You can even add on coordinating flowers for your wedding party! 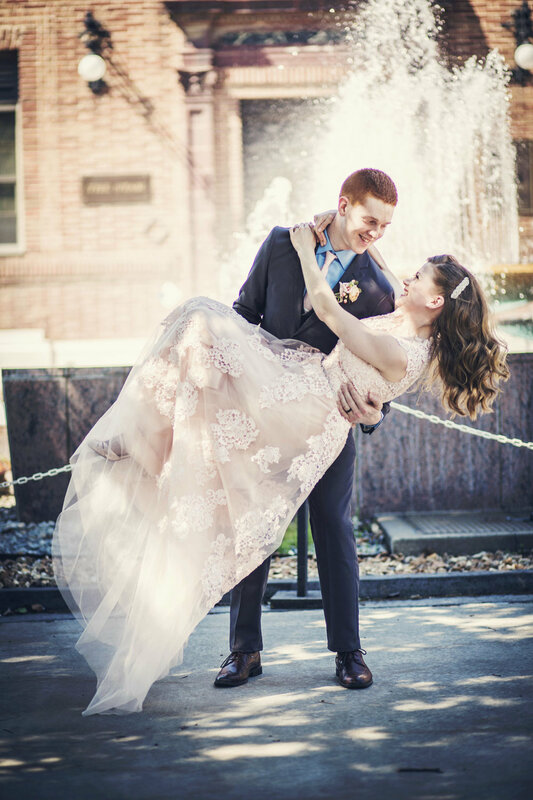 Wedding photography can often break the bank with prices ranging up to $4500 and more. However, it is one thing you really shouldn't skimp on! We understand this better than anyone which is why we offer our professional photography in a budget friendly way. Whether you're having a 30 minute mini ceremony or a full 4.5 hour Bottles & Bites reception, we offer the same professional grade photography at a price that makes sense for your budget. Additionally, instead of paying up front for a set number of photos, our packages include digital copies of every single photograph taken so you don't have any extra costs later down the line. Also, our amazing team of photographers know our venues and our neighborhoods like the back of their hands - guaranteeing you get the best shots in the coolest places! Most couples spend between $750 - $1,400 on a DJ. At The Vow Exchange, the cost is $0! Our chapels are intimate in nature with 12-14 foot tall ceilings offering the BEST acoustics. Hoping to share a special dance or two with those you love to songs you love? For couples with a reception package, our planner will queue any special song or songs for a special dance as well as play mood setting tunes for your party. So whether you want a more mellow celebration with classic crooner tunes or you want to boogie all night long, we've got the jams for you. Get this. 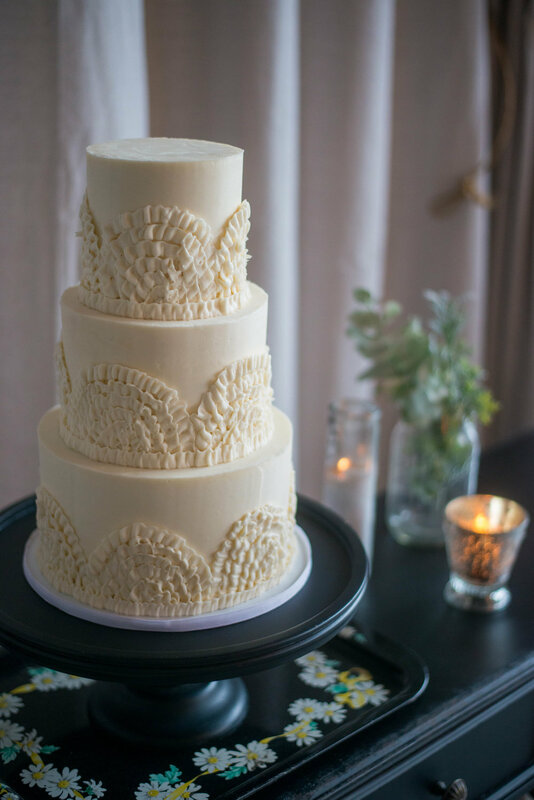 The national average wedding cake cost is $500 and that doesn't even include cutting and serving! At The Vow Exchange, not only do our reception packages include a GORGEOUS cake that you get to cut together and smash into your new spouses' face, you also get to keep the top tier that we box up for you for your 1 year anniversary. Additionally, your coordinator will cut and serve the rest to all your sweet tooth guests. The biggest budget breaker has to go to food & booze with most couples spending between $1,800 - $7,000. The Vow Exchange Bottles & Bites package comes with enough food to satisfy the heartiest of eaters and a generously stocked bar for your guests to enjoy throughout the night. We also provide all plates, napkins and serving utensils on a beautifully arranged buffet table. You never have to estimate how much your guests might consume. We guarantee there is no running out and no fees for those who consume a “little extra”. So you can sit back, chow down, and say cheers with all your friends and family. So there you have it folks, the best budget wedding in all of KC! Click below to browse our package offerings and find the perfect date to celebrate your big day at The Vow Exchange!